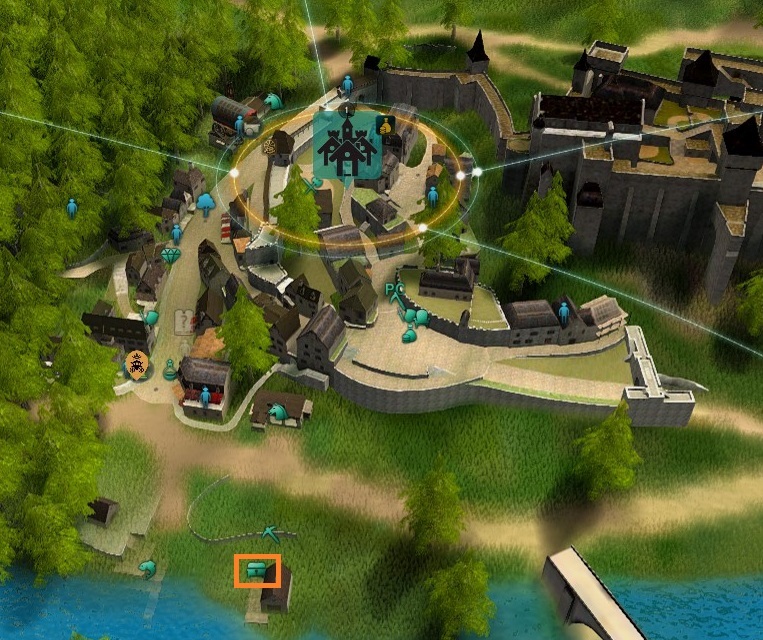 Storage Keeper NPCs will appear as a “chest” icon on the map. 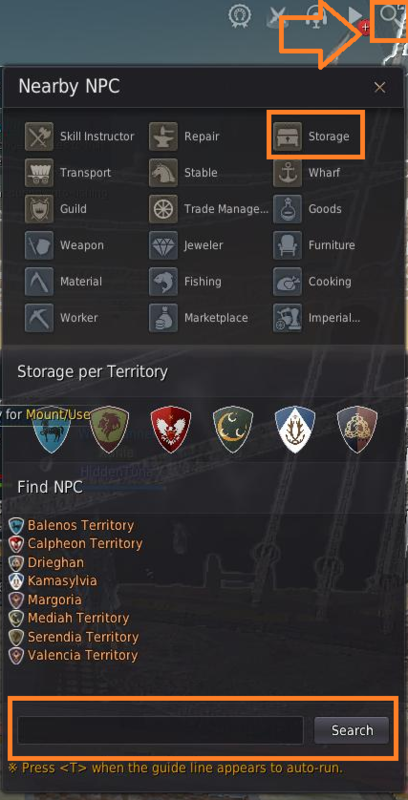 To see the icon you will have to discover the NPC first by talking to them so here are the locations of storage NPCs in the main towns and cities. 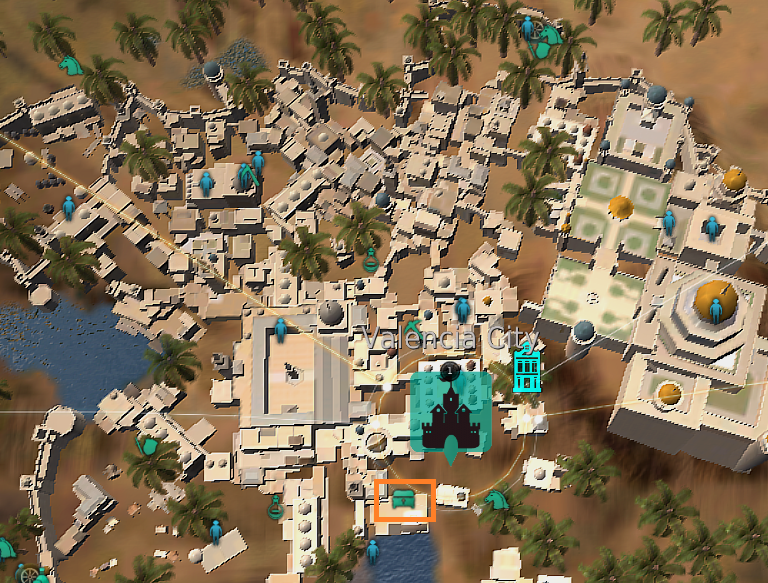 You can also view your storage at any time by opening your world map (M), then clicking the town/city icon. 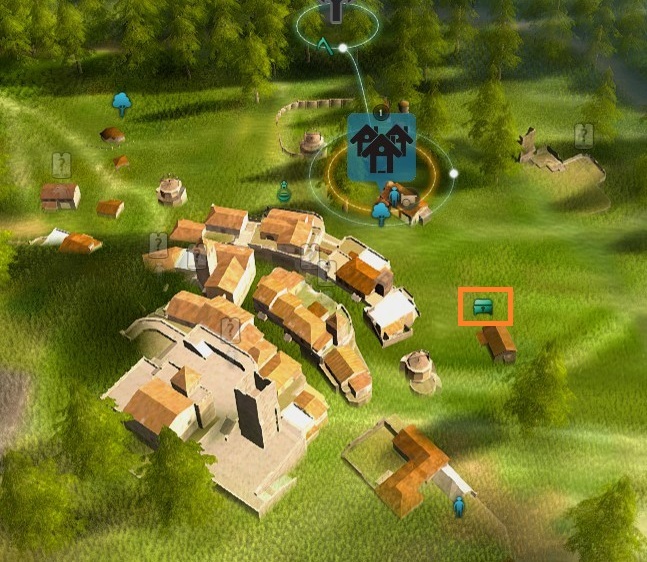 If you can’t find the NPC, you can use the Magnifying glass in the top right, next to your mini-map. You can then search for the name of a particular NPC or click the “Storage” button to find the nearest one. You can also type “Storage” in the search box to find a storage keeper in any city. Once you have found the storage NPC, go up to them and press “R” to talk to them, then click “Storage”. 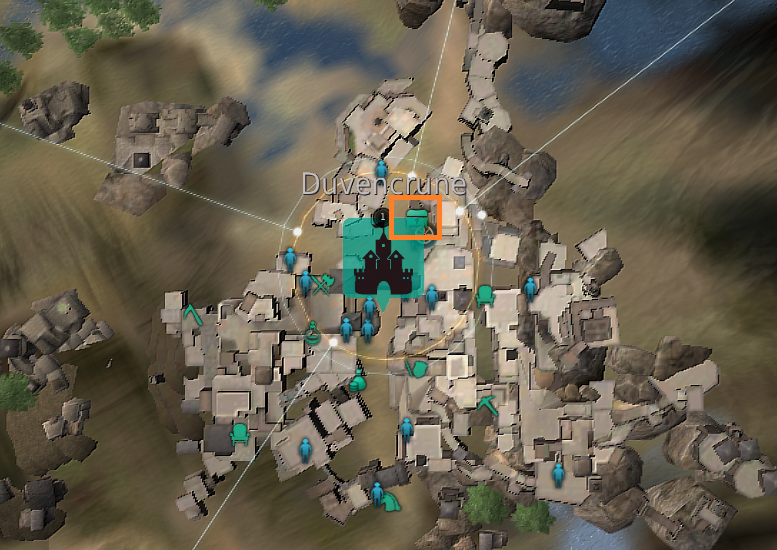 You can view all your storage in each town by clicking the different town names on the left side of the window, but you can only deposit and withdraw items/silver if you are at the correct storage keeper NPC for the town. To put items in your storage, simply right-click the item and if you have multiple items enter how many you would like to put in the storage. 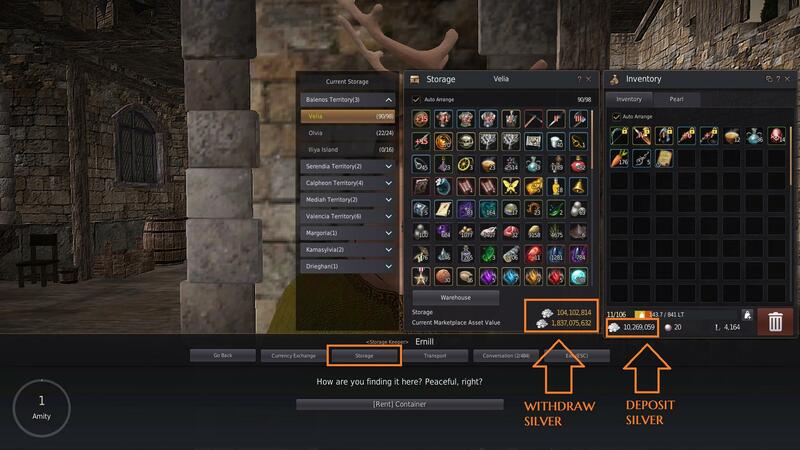 To put silver in the storage you need to click the silver icon in your inventory, enter how much silver you would like to deposit, then click “Confirm”. To withdraw silver from your storage you simply click the silver icon in your storage, enter how much you would like to withdraw, then click “confirm”. Please be aware that Storage does not share across towns or cities so you will need to go back to the same location that you stored your items or silver, in order to withdraw them again. Storage shares across all your characters. Storage space can be increased by buying a Storage property. To buy a Storage property click the town or city icon then click a blue house icon. Below is an example of a Storage property you can buy. This property costs 1 contribution point and takes 2 minutes to set-up. Buying this property will give you 3 extra storage spaces in the town or city you buy it in. You can exchange silver into gold bars using your storage. Gold Bars are required for villa contracts and other uses. You may also earn a Gold Bar from an event or quest reward and can exchange it at a storage keeper to turn it into silver. To use Currency Exchange, go to your storage and select “Currency Exchange”. A shop window will pop-up where you can purchase 4 types of gold bars. The prices are 100,100 silver, 1,001,000 silver, 10,010,000 silver, 100,100,000 silver and 1,001,000,000 silver. Select one of the gold bars then “Buy” to convert your silver to a gold bar. 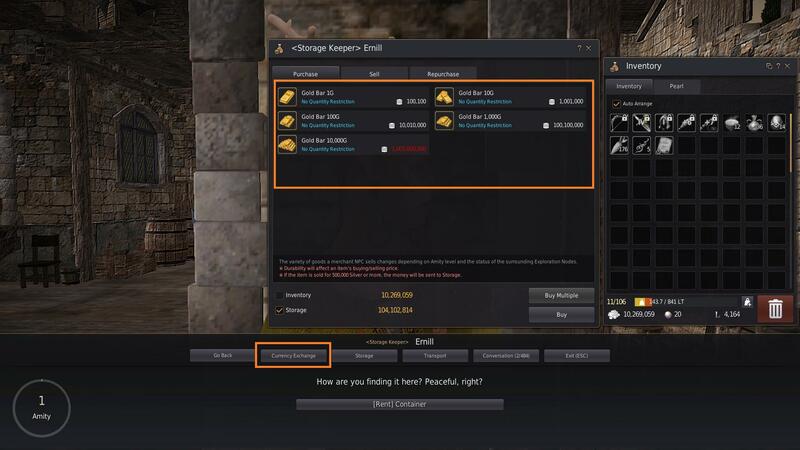 To sell the gold bar back to the shop again, go to a storage and select “Currency Exchange”, then go to the “Sell” tab on the shop window. Here you can sell back your gold bars to change them back to silver. As you can see, I paid 100,100 silver to buy the gold bar and I only get back 100,000 silver by selling it. This is because the NPC takes a small percentage (0.1%) of your money for converting it. You can also just right-click the Gold Bar in your inventory to sell it quicker. 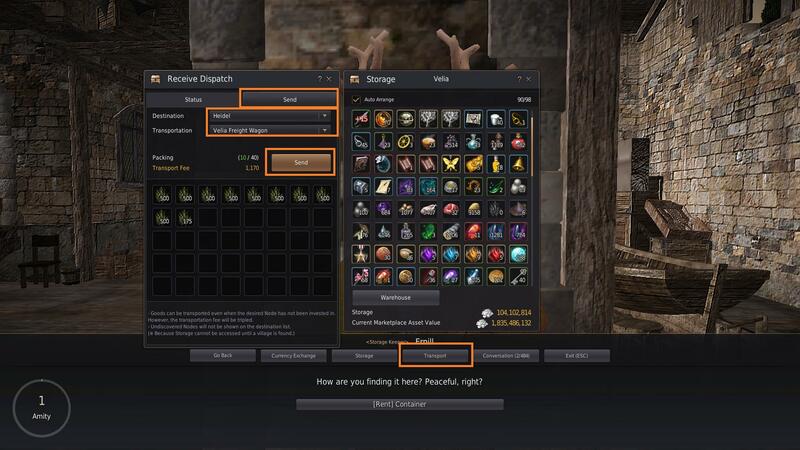 You can transport items and trading goods from one storage to another. It does cost a small amount of silver and does take longer to transport than if you were transporting it yourself. 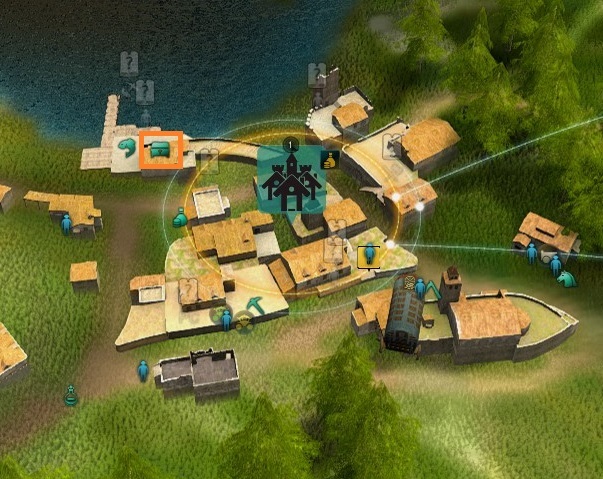 However, it’s a great way to move items around whilst AFK, offline, or doing something else. There is a limit of 100 items or item stacks that can be transported at once. You cannot exceed this limit and will be unable to transport more until you receive the items when they arrive at town. To transport the items, make sure they are stored in your storage first. Open your map (M), open the storage and select the “Transport” button at the bottom of the window to open the transport information window. 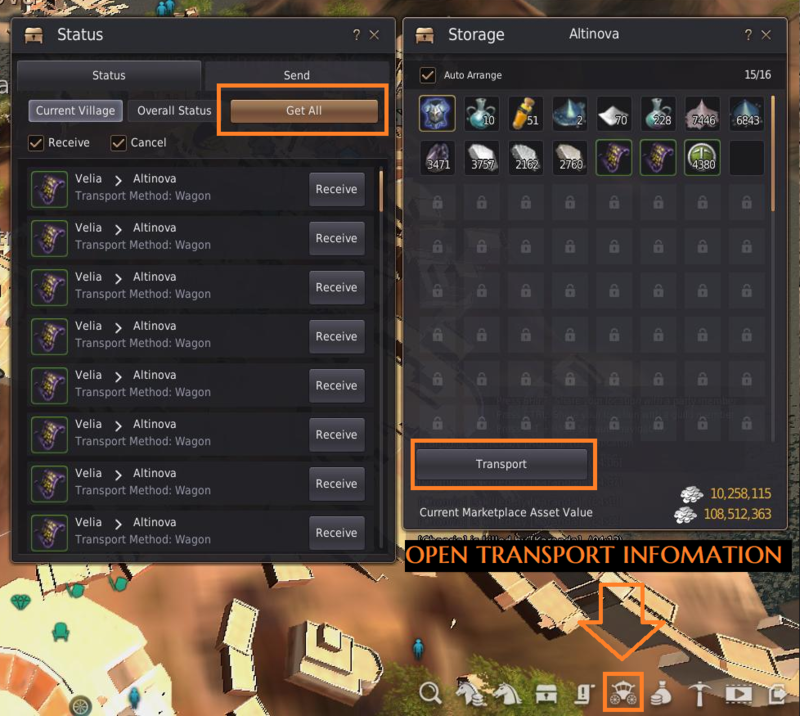 You can also open the transport window directly from the storage keeper NPC. Press the “Send” tab at the top. From here you can then select a Destination and Transportation method using the drop down boxes. Add the items you want to transport. You can transport up to 40 items at once, after this you will need to open the window again and fill in the information again. You will also be told your Transport Fee, which is the cost for transporting the items. The Transport Fee will cost 3 times the amount if the nodes are not connected, but the amount you have to pay is very little. For more information on connect nodes, click here to view our Nodes guide. Once you’re ready, click the “Send” button. Now that your items are ready to be transported, you must wait for the wagon/boat to pick the items up. 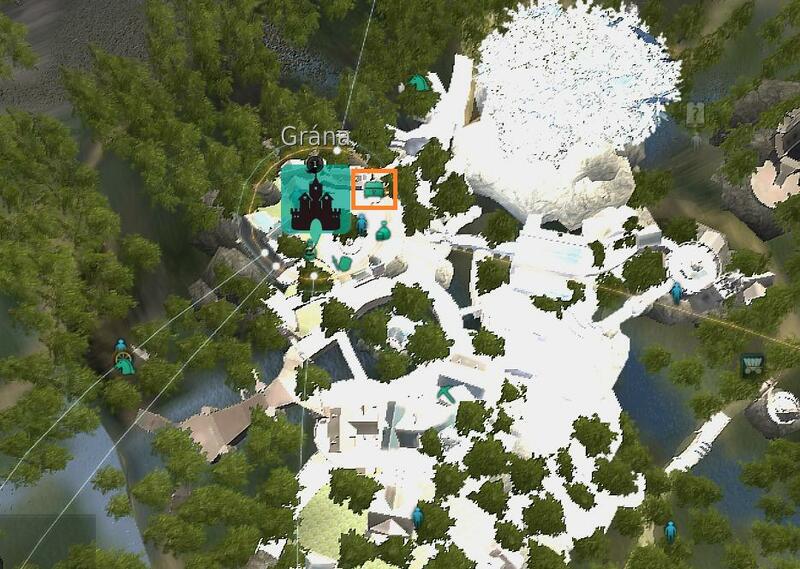 You can see the transport moving around the map at any time. When the items have been picked up, the icon will change and you will be able to click the wagon/boat to see what is being transported. If you are transporting trading goods, they may be attacked by bandits along the road. For more information on trading goods, click here to view our Trading guide. When the items finally reach their destination, you will need to open your storage. 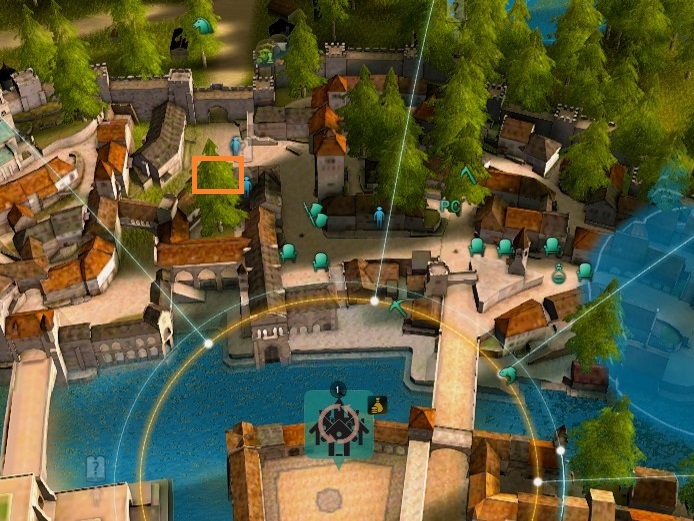 This can be done at any time by pressing (M) to open the world map then clicking on the City icon (left image). Then you must click the items you want to put into your storage. Storage Maids/Butlers are used to access your storage. It’s important to note that the maid/butler will open the storage in the region you are currently in. 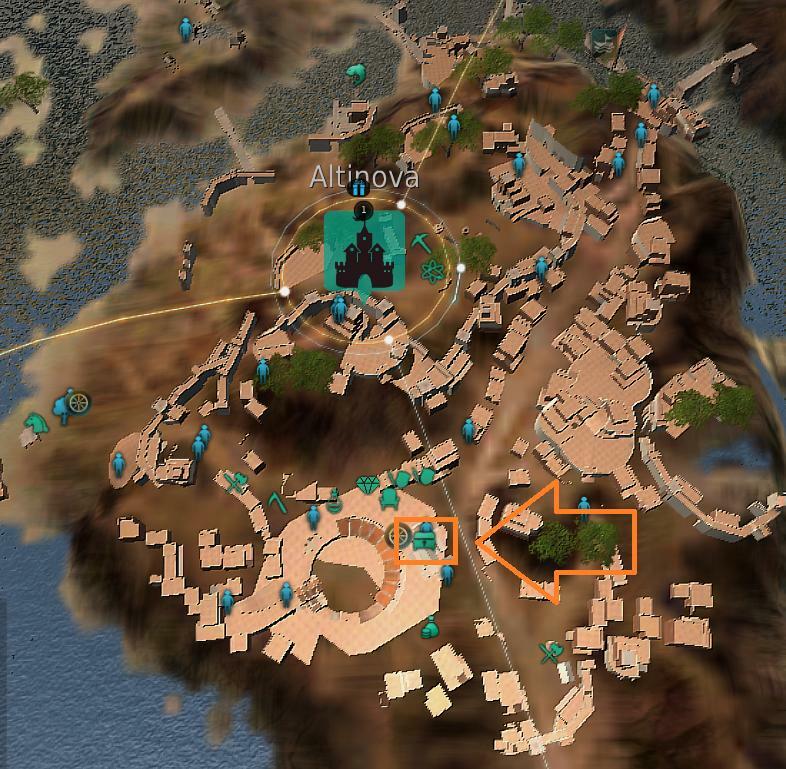 For example: if you are currently at Sausans, it will open your Altinova storage and if you are at Pirates, it will open your Calpheon storage. You can deposit and withdraw any items, excluding trade items. You can only transfer a maximum of 100LT weight however and there is a 20 minute cooldown for using the maid/butler. You can rent a storage container from a storage keeper for 10 CP. This storage container will go into your inventory and can then be placed in a residence. Interacting with a storage container will allow you to access the nearest town storage from your house. 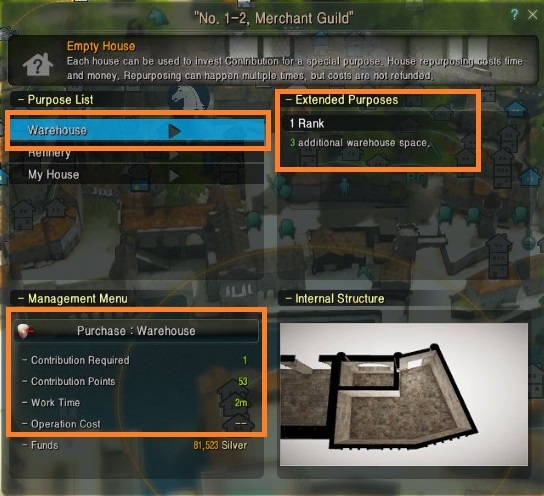 You can access the Central Market Warehouse directly from the Storage Keeper as long as there is a Marketplace Director in the same town. This can be done in Velia, Heidel, Calpheon, Altinova, Grana, Valencia, Port Ratt and Duvencrune. When you open your storage, click the “warehouse” button. 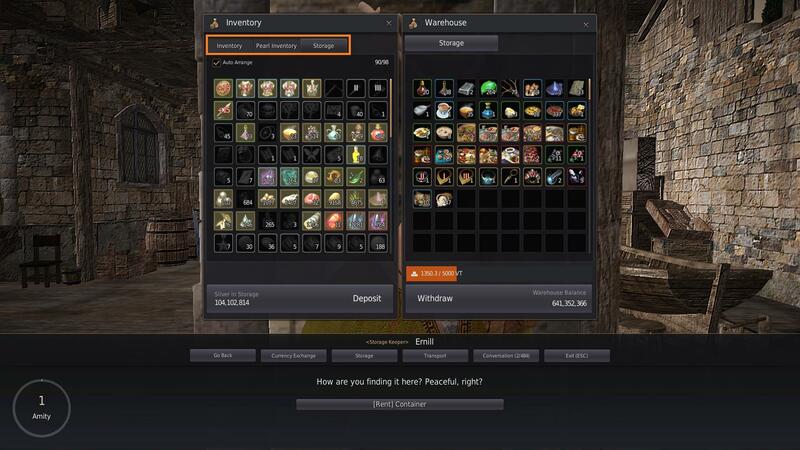 Now you will be able to move items directly from your storage, inventory or pearl inventory and put them straight into the Central Market Warehouse. You can also deposit or withdraw silver directly.